To Ella Beene, happiness means living in the Northern California river town of Elbow, California, with her husband Joe and his two young children. But one summer day Joe drowns, leaving Ella alone with Annie and Zach—until his ex-wife, Paige, shows up at the funeral. For three years, Ella believed that Paige had selfishly abandoned her family. Yet—as the custody fight between mother and stepmother ensues—Ella realizes there may be more to the story than Joe ever revealed. 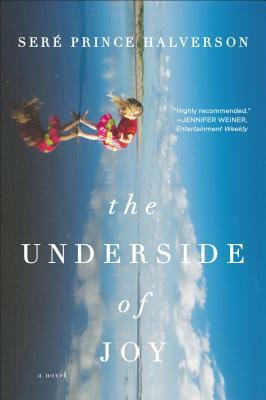 The Underside of Joy is not a fairy-tale version of step-motherhood, pitting good against evil, but a captivating story of two women who both claim to be the mother of the same two children. SERÉ PRINCE HALVERSON lives in northern California and worked as a freelance copywriter for twenty years while she wrote fiction. She and her husband have four grown children. She is a mom and a stepmom, and grew up with a mom and a stepmom. This is her debut novel.